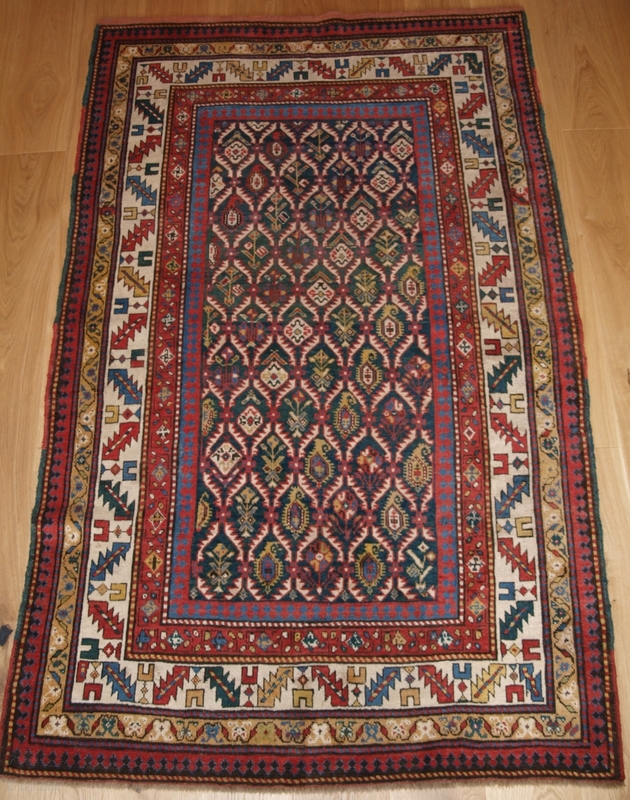 Antique Caucasian Daghestan rug with floral lattice design on a scarce green ground. www.knightsantiques.co.uk Size: 6ft 8in x 4ft 1in (203 x 125cm). Circa 1880. This is an outstanding example of Caucasian weaving, a fine rug with a very well drawn lattice design on a deep sea green field. The rug has a an ivory ground border with the traditional glass and leaf design, the use of yellow compliments the green field very well. 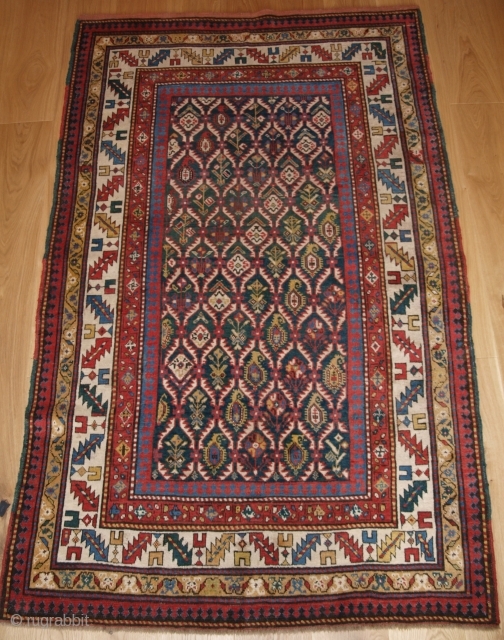 The rug is in excellent condition with slight even wear and good pile. 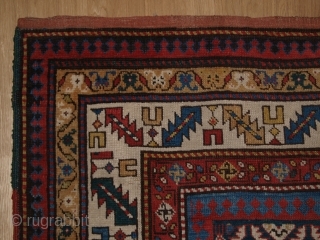 The rug retains the original flat woven end finish at the top end. The rug is suitable for light domestic use. 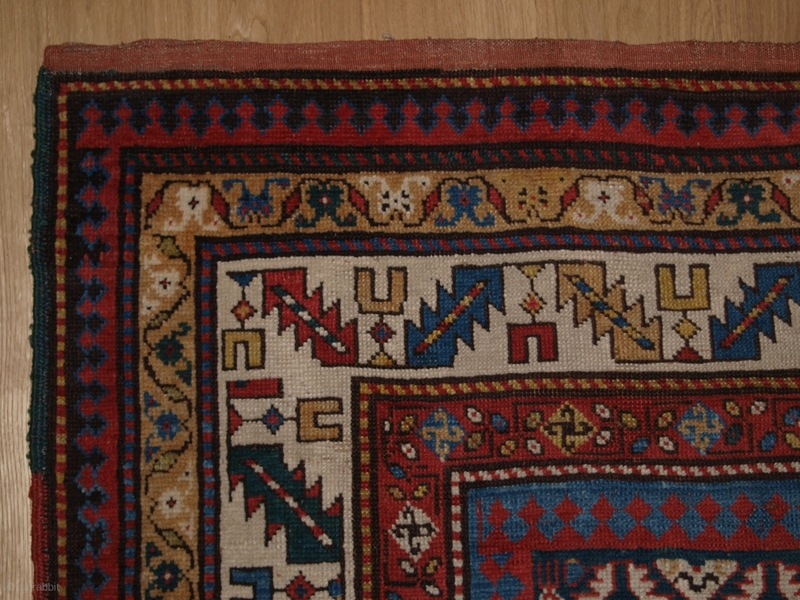 The rug has been hand washed and is ready for use or display. Stock Number: h-166.